Longest name ever? Maybe. I didn’t want to leave anything out though because all those ingredients are magically delicious. Like Lucky Charms. Except without gluten… and marshmallows. Anyway…. I love coffee. 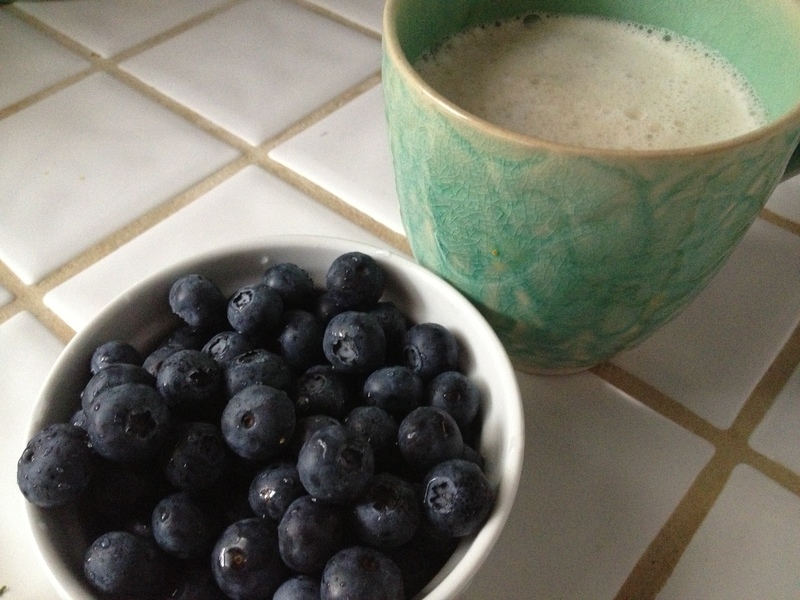 And blueberries. And my new coffee cup. I decided to write a weekend post partially because I’ve been so bad at posting regularly that I felt like I should start playing catch-up. The other reason is because I just made these delicious balls and didn’t want to forget how I made them. Win-Win. I’m always looking for new exciting combinations for the standard “Lara Bar” recipe. You know, dates and nuts plus some fantastic little add-ins. For other versions of this recipe check out my Lemon Apple Bars, Apple Pie Bars, Ginger Date Bars… there are many. Add nuts to a food processor and pulse briefly. Add the rest of the ingredients and process until the mixture begins to stick together. Roll into balls or press into a dish and cut into bars.